What do we do when machines can do everything? Accelerating change. Radical innovation. Disruption. These phrases appear with such regularity these days that we’ve become immune to them, often too focused on the latest VR headset or “UBER-for-pedicures” startup that we miss the moment where several trends intersect with irreversible (and often unpredictable) consequences. 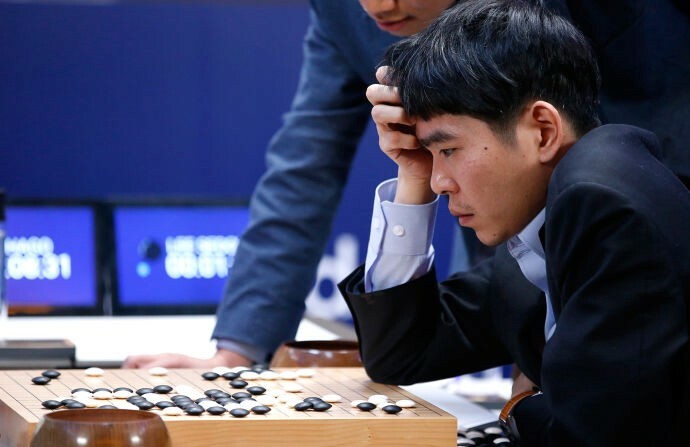 This happened last week when a piece of artificial intelligence software defeated the world’s best Go player. By way of background, Go is an ancient game, exponentially more complex than chess. Of course computers handle number crunching better than us but the best Go players have something else, a combination of imagination, artistry and creativity. A machine winning was considered as absurd as your laptop winning the Nobel prize for literature. “Something new had occurred that will quietly change the world forever. Like a whispered word in a foreign language, it was quiet in that you may have heard it, but its full meaning may not have been comprehended . . . the ramifications are set to alter everything we take for granted about the way our globalized economy functions, and the ways in which we as humans exist within it”. What follows is a high-level description of the implications of AI for individuals, the economy and society at large. For companies it is a first draft of a playbook for this new era and set of action steps to prepare for the rapid changes ahead. What the program (named AlphaGo) demonstrated is the power of a new field of software known as Deep Learning. For years tech companies like Google, Microsoft and IBM have viewed this as a holy grail — a way for computers to naturally interact with humans while also solving tasks that exceed human capabilities. Various milestones have stood out like IBM’s Watson which garnered headlines after beating the world Jeopardy champion Ken Jennings. Impressive but also incomparable. The difference is both subtle and profound. Watson uses voice recognition software to translate a question to text, then “understands” the question (and context), then retrieves possible answers from the internet at lightning speed, sorts them by probability and spits out an answer. But it never “thinks”. Watson is a big, strong computer that does exactly what he was programmed to do (and very well at that). More importantly, no matter how much faster he runs, no matter how much better his code, he can only improve the speed and accuracy with which he answers questions. There is a long way of describing just how Deep Learning programs teach themselves but the short version should suffice. Rather than using conventional algorithms that process data using thousands of explicit instructions, Deep Learning uses a more generalized computing method called Neural Networks, believed to work more like our brains. As a result they are able to handle more nuanced logic scanning massive amounts of data at light speed, and optimizing for pattern recognition and estimation rather than precision. The results are odd. Unlike humans, neural networks perform better the more data they are fed. They actually begin to draw non-obvious conclusions. They learn. And the more data they have, the quicker they learn. Given we’ve created more data in the past 18 months than in all of human history, the odds are strong that AI will very soon outstrip human capabilities. How might this happen and what would be the result? Let’s begin by looking at the possible economic impact. The chart below plots the trend lines of 4 categories of jobs in the past 30 years. Clearly any task that can be automated, will be. But if machines can think, what happens to Non-Routine Cognitive Tasks? I’ve long argued that we’ve got nothing to fear until a computer can tell a good joke but the issue is actually a serious one. Predicting the future is always difficult but the next few years are likely to be harder than ever because of a simple paradox. 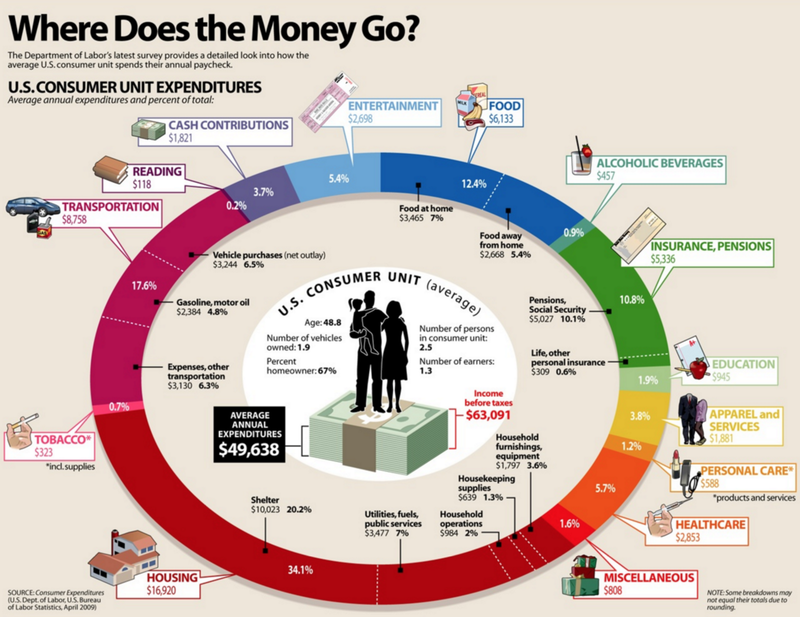 At the same time as technology is affecting consumer behavior it is also changing the fundamental economics of society. In other words, automation gives us delightful experiences at ever cheaper prices yet erodes our earning power in the process. UBER illustrates this circular dilemma. In just 6 years, the company has grown to over a $60B valuation because of the simplicity of its interface and superiority to the incumbent taxi industry. But behind the scenes the company is also investing massively in self-driving cars. The reason is simple — human wages are their single largest expense. In 3 years, rides may cost 90% less but who will be riding in these self-driving cars? What jobs will pay for the ride? The same logic extends to robotics, visual computing and automated investment services. When machines can lift, see, heal and invest, what will be left for humans to do? As an optimist, my outlook is much more hopeful than apocalyptic. In every preceding Industrial Revolution, tools and innovations have improved human productivity and the same may be true here. How? Looking at just where we spend currently is a good place to start. The numbers from 2009 have still not dramatically shifted. What is consistently surprising is the percentage of spent on categories that are very hard (or impossible) to disrupt like housing and food. Also, although we currently use digital media for over 6 hours daily, the total spend here (devices, software, entertainment and connectivity) is just 7–10%. My conclusions? 1) Internet-related services will rise in value but not massively. 2) Automation, AI and related technology will put pressure on all elements of the system to adapt to work that machines can’t do and 3) Companies offering the best user interfaces to their customers will win, whether those products are housing, healthcare or widgets. It’s tempting to argue that experiences in digital form will erode value across the board but the bulk of our economy produces physical “goods” (housing, food, health, cars) Regardless of what is being sold, whether physical, digital or a service, the actual product is what matters. For 20 years we’ve optimized strategies to use new media and advertising to reach, target and convert buyers. But we may have reached peak media — the point at which we can’t target or message our way to future growth. Technology serves people and they will always choose and value products designed to improve their lives. Products must improve, not marketing and we all need to be in the Business of Products. So what should leaders, digital or otherwise, invest in immediately? 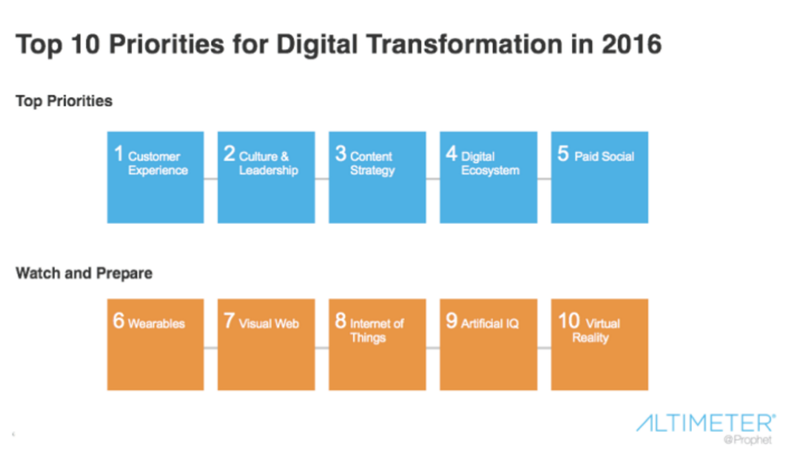 Charlene Li’s 10 Priorities for Digital Transformation is a good start. Build teams that can unite technologies and communication to improve overall customer experience. But the “Watch and Prepare” list is more than just next year’s trends — it’s a matter of survival. And “survival” is not a euphemism here — since 2000 52% of Fortune 500 companies have been acquired, merged or gone bankrupt. Every leader has heard the chorus of “Innovate or Die”. Doing so is tricky and often falls prey to half-measures. A tactic often used has been to launch an Innovation Lab. In fact there are now 7000 corporate Innovation Labs in the US, up from just 12 in 1980. The majority of these are unlikely to future-proof a business. That requires metrics, strategy and actions. The following 6 steps form a framework for going beyond the whiteboard to institutionalize innovation and win on products. Start small: Don’t try to predict outcomes. Often the most impactful ideas can emerge through a disciplined process over the course of a single week. Think like a Lab: The typical playbook involves constructing a physical space, hiring an architecture firm and purchasing advanced gadgetry. The result is often a showroom and sales tool rather than a place to design products. Lab thinking values bits over atoms and can start immediately. Play to your strengths: Startups excel at rapid product creation. Large companies have vast assets, IP and distribution power. Combining both can truly move the needle. The result, at very least, is a teachable, repeatable process. Invest Aggressively and Celebrate Failure: There is no input line on a balance sheet marked “Innovation” so budgeting upside is impossible. Make lots of small, fast bets. Risk is scary for employees for good reason — the upside may be small and failure is a good way to get fired. Change the incentives, change the culture. With senior-level support and investment results can far outweigh a short-term press release. With a well-defined, measurable process, teams can combine rigor with invention to move rapidly from Conversation to Creation. Our challenge going forward is to creatively apply the very tools that could render us obsolete. Only with foresight, discipline and smart design will we do what it takes to prosper in the AI Age, creating value, health and happiness for our real customers. Humans.